What do you think is the most important thing you can do to become a more effective, successful leader? I often ask this question to leaders at all levels who attend my leadership training workshops. I usually hear answers like, “improve my strategic thinking”, “become more persuasive”, and “be more motivational.” These are all reasonable answers, but none of them hold a candle to the ultimate performance-enhancing skill: the ability to solicit, accept, and act on feedback. 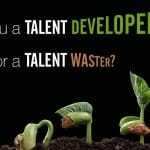 Here’s another question: what is the most important competency people at all levels in your organization need to master to be able to compete today and in the future? Same answer. The ability to solicit, accept and act on feedback at an organization level is the most essential element of a learning organization, and one might argue, of all exceptional organizations. But there’s a major obstacle to developing this skill, both individually and organizationally: most people don’t want feedback! And most people are afraid to give it unless they’re really pissed off. Fortunately, skilled managers can create the conditions in which people will actually request their feedback instead of fear it. Can you imagine a workplace where nobody gets defensive when they receive feedback? In fact, not only do they not get defensive about feedback, they actually request it. As a result, teams have constructive debate, the best solutions are uncovered, and people and the organization learn from their mistakes. This is the dream, but it has actually become a reality at some progressive organizations. Most managers I know are often frustrated that the people they manage don’t want their feedback, or don’t act on it. These managers often conclude that those people are “un-coachable”… that the problem is with their uncoachable nature. As I explained in this article on performance management, managers themselves are often the cause of their staff’s poor performance, or in this case, their staff’s unwillingness to receive feedback. There are four conditions that must be met before people will request feedback from their manager, and managers control most of them. Add it all up, and managers have most of the control over how willing their staff are to receive feedback from them. Let’s take a closer look at each condition and how managers can influence them. If the person you want to give feedback to doesn’t respect you, then your feedback is worthless. Actually, it’s worse than worthless because the person you give it to will resent you for giving it, and you will resent them when you see no indication that they have accepted your feedback. Trust is earned when someone demonstrates that they are willing to make personal sacrifices for another. Simon Sinek explains in his book Leaders Eat Last that the reason military personnel are so willing to risk their lives for their comrades is because they share a deep-seated belief that their comrades would do the same for them. Managers earn this trust by sharing credit when things go well and taking the blame when their staff screw up. They also engender trust when they do things to make their staff’s lives easier, and when they shelter their staff from absurd requests from higher up the chain of command. Managerial competence is assessed based on technical know-how and leadership skill. Some managers have the advantage of being technical subject matter experts. Even if the manager is not the type of person that others would want to emulate, people might be willing to receive the manager’s feedback if the manager is perceived as a true guru in that area. But many managers are actually less technically skilled than the people they supervise. These non-technical managers need to understand that their competence is being assessed primarily on their management and leadership skills. Not only do they need to be organized, efficient, and driven, they must also demonstrate that they want to be a better leader. This means having the desire and discipline to be a life-long student of leadership, and the humility to seek feedback. Psychological safety occurs when people aren’t fearful of being blamed for mistakes. Instead of blaming others for making mistakes, people who work in a culture of accountability view mistakes as learning opportunities. When problems or mistakes are uncovered, the focus is on preventing them from happening in the future, not on punishing those responsible. Psychological safety is an essential pre-requisite to accepting feedback. When negative feedback is received in a culture of blame, it is interpreted as a threat. Our brains are hardwired to do one of two things when we encounter a threat: fight or flight. In other words, argue with the person giving the feedback, or immediately seek the consoling feedback of others who we know will tell us what we want to hear: that the person who gave us the negative feedback is wrong, and a jerk! In either case (fight or flight), the feedback will not be accepted, let alone requested. Let me be completely blunt: you may as well forget about trying to improve the feedback processes in your workplace until you have created a no-blame culture of accountability. Until you have done so, feedback will continue to be viewed as a threat, it will not be accepted, and it will create resentment between the giver and receiver. Feedback will continue to be worse than worthless. Another essential component to psychological safety is knowing that your leader has your best interests in mind. People are far more willing to receive feedback from those who they know care about them personally. There are really only two reasons why we give others feedback: 1) because we care about them and want to see them succeed, or 2) because they are screwing up our life! When we give feedback for the latter reason, no amount of smiling or soft talking will hide our frustration. The recipient will immediately know that the feedback is being given for selfish reasons, which will trigger their fight or flight response, rendering the feedback worse than worthless. Insecure people don’t want feedback. As Jack Nicolson said in A Few Good Men, they “can’t handle the truth.” Insecure people view negative feedback as a judgement of their worth, and it shatters them to pieces. Some people are born more confident and secure than others. I’ve witnessed this in my own children. But there is a lot that leaders can do to instill genuine confidence in those they lead. Confidence comes from having a clear understanding of your unique basket of strengths, recognizing the value of those strengths, and knowing that others value those strengths. This leads to a feeling of security and self-worth. People who recognize the value of their strengths are not jealous of others’ strengths. They might want to develop those same strengths, but they don’t begrudge others for having strengths that they don’t yet possess. So how can managers help their staff become more confident—willing and able to receive negative feedback? Focus on strengths, and work around weaknesses. When was the last time you talked to your staff about their strengths? Most people are unaware of many of their strengths until they are forced to think about them and write them down. Managers are responsible to help their staff identify their strengths, and then align their work to their strengths. When it comes to helping their people improve, most managers focus almost exclusively on their staff’s weaknesses. This invariably erodes confidence. And the only way most managers know to deal with weaknesses is a brute force frontal attack. “Work on it” managers say. What their staff hear is “You’re not good enough. Go get a personality transplant.” It is far more efficient to first try to work around staff weaknesses before trying to improve them. Smart managers work around their employee’s weakness by leveraging technology, finding complimentary partners, and restructuring the work. Praise liberally. Praise is perhaps the most powerful, least used motivational technique known to man. It’s powerful because it actually triggers the chemical called dopamine to be released in the brain of the person being praised. 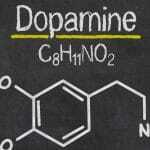 Dopamine causes feelings of pride, confidence, happiness, and sharpens attention and focus. Praise is largely underutilized by managers because many are afraid that recipients will interpret it as a signal that they are perfect, and have no need to improve. I am not sure where that perception came from, but it has no bearing in reality. Research by Gallup revealed that teams that regularly receive praise are 10% – 20% more productive and profitable. Why? Because confident people outperform insecure people in virtually every context. A Gallup survey showed that 61% of employees report receiving no recognition in the past year. Clearly, we are in no danger of offering too much praise. I may have a ton of respect for you; you may have created a psychologically safe environment for me; I may be very confident; but honestly, I don’t want your opinion or feedback on my driving. Or maybe I know that I just bombed a presentation and I’m not in the mood to hear your feedback right now. I live in Vancouver, BC, which is one of the mildest climates on earth. We only get snow a few times a year, and when we do, it’s usually gone within a day or two. No matter how badly my kids want a white Christmas, we usually don’t have the right conditions for it. Once the right conditions are in place, I’ve got a bag full of tactics you can employ to encourage others to solicit, accept, and act on feedback. Those tactics are coming your way in my next article. Until then, work on becoming more respectable and helping your staff feel more safe and confident.